Home › Comic › Another screenplay? 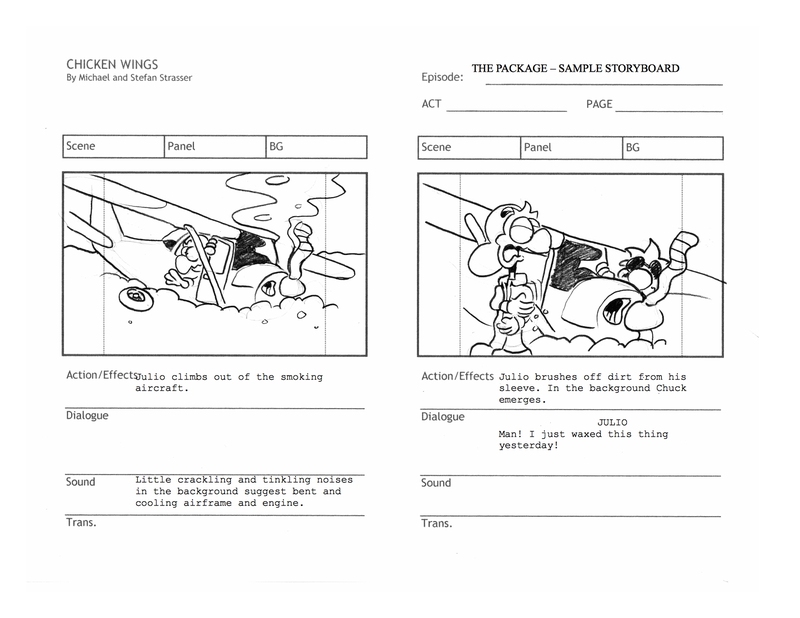 Many of you might not know this but we came pretty close to getting Chicken Wings animated twice in the last ten years. Unfortunately the movie business is brutal and things got in the way. We ended up with a few half-done shorts and a bunch of storylines, treatments and storyboards but not much else to show for. Maybe after things settle down with work and Stef’s kids start being able to feed themselves we can revisit the idea. What do you guys think of a Chicken Wings short-film? I would love an animated Chicken Wings. But please, don’t make the Garfield mistake. Garfield as a comic strip is great for us adult people (and teenagers), but when it turned into a computer animated movie, the sole was totally lost, probably because the producer needed a larger audience like including smaller children. 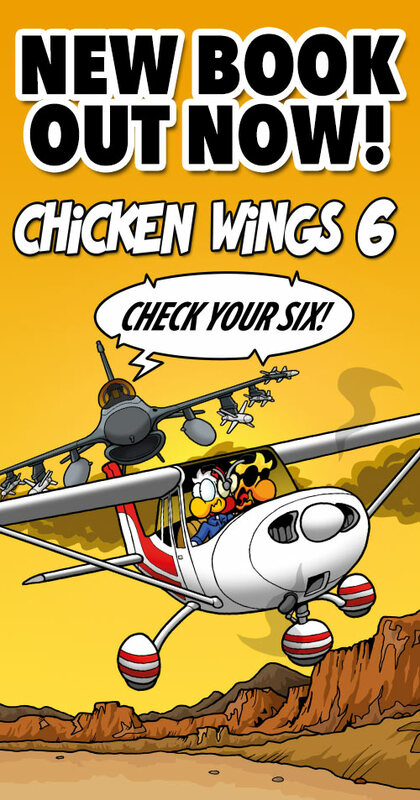 I think a Chicken Wings movie or animated series would be great! Kind of like the Big Bang Theory, Airwolf, and Wings rolled into one. Make it so! As much as I like the idea of a Chicken Wings movie/short/tv series I don’t think it’s likely it would work without fundamentally changing its sole (see: Garfield comment above). Too much of the potential audience will not understand the joke, they’ll be sitting there wondering what’s funny about Coursair Pistons. And if you get rid of the airplane specific humour you’re left with just another workplace comedy, but with chickens. If you do try again, look into go-fund-me or similar options to raise capital. I’m imagining Chucks voice done be Morgan Freeman. That brings up a good point! Voices are super important and very hard to do right. I think we have Julio covered but who would you have do Chuck’s voice?? Tom Cruise, obviously. Gotta nail those Top Gun quotes! Thanks for all the comments! Yeah, we wouldn’t do it in 3D. 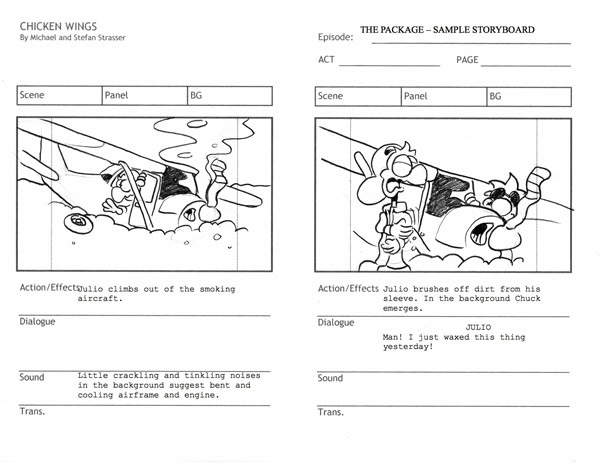 We thought more about the 2D visual style of Family Guy. A kickstarter or go-fund-me campaign might be a good idea! About the voices: Morgan Freeman and Tom Cruise would probably be out of our budget range. But it’s seriously one of our biggest problems, because, as Mike said, voices are very, very important. And we can’t really go the do-it-yourself route like, e.g. South Park, because we have German accents. I guess I could play Hans though, haha! But there must be aviation enthusiast actors out there who might be interested, right? Hm… Maybe Morgan Freeman or Tom Cruise WOULD be an option after all! Does anybody have their phone numnbers?